Prize DrawsWin ONE of TEN Droplet Hydration Kits! 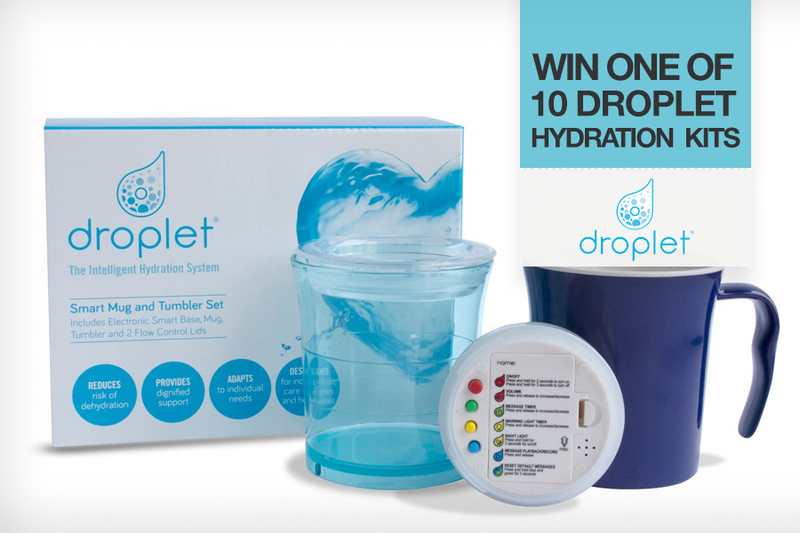 Win ONE of TEN Droplet Hydration Kits! This month we have 10 Droplet Hydration kits to giveaway! Droplet is a revolutionary new drinking aid that provides innovative support for those that need a helping hand to boost their water intake. Developed in partnership with over 100 Healthcare Professionals and supported by NHS England, Droplet features flashing lights and gentle voice messages that remind the user to take a drink. When a person is dehydrated they are at greater risk of falls, urinary tract infections and other dehydration related illnesses, which in turn can lead to more serious health problems. Good hydration is vital for things like muscle function, joint and brain protection, immune health and digestion. It can also reduce the need for medications and prevent illness, but it’s not always easy to encourage elderly people to drink more, especially if they’re suffering from a health condition like Alzheimer’s and dementia. Whether you’re caring for a loved one or want to boost your own water intake, Droplet provides the visual reminders (and reassurance) you need to drink more regularly for better health. The heart of Droplet is the innovative smart base that recognises if the user hasn’t had a drink for a while. After 20, 40 or 60-minute intervals the base starts to flash alongside voice reminders to encourage them to have a sip. Droplet is fully customisable too; you choose which functions are activated and you can even record your own messages – a useful tool if you’re caring for elderly relatives and want to ensure a caring and familiar voice when you can’t be there. Now Droplet is bringing smart hydration technology into homes across the UK with the launch of the new Droplet home kit – a user-friendly set designed to help people maintain good hydration habits with dignity at home for longer. I am so pleased to have won this as I never win anything and I was amazed to have received the email telling me that I had won this prize. Thank you so much. I would love one of these for my husband, who is palliative and gets a bit confused due to medication. He never drinks enough this would be a massive help. We are just dealing with a UTI right now. Wishing everyone good luck. My wife spent three months because of dehydration which resulted in a UTI infection.Thankfully she survived. My mum is 93 and very stubborn when it comes to keeping hydrated and always says she cannot be bothered to get a drink other than the odd cup of tea. This might be the answer for her. Sounds fantastic, need one for a relative who forgets to drink. I need one of these in my life, fact. I suffer from frequent urinary tract infections and must drink plenty of water. Unfortunately sometimes I lose track of time or I'm really busy and I forget when I last had fluids. This is ingenious. Just the thing to remind me to stop and drink! I am 62 years old an still working full time as a community nurse-as such I spend most of my day on my car-and I forget to drink -despite carrying water with me-this would be great to remind me I NEED to drink!!! This is just what I need as I am continually dehydrated, relying on the wife to monitor my fluid intake. You could actually make my wife's life just that bit easier. As someone who suffers from Diabetes Type II, I need to drink a lot to replace fluid. I believe this device would be extremely useful. I have many health problems and each time the doctors ask ‘are you drinking plenty of water’, I usually have to admit I forget.....this lovely item would remind me to drink regularly throughout the day........fingers crossed. I know I don’t drink enough water so this would really help. Fingers crossed! Could do with one of them also! I think this would really help. Hopefully this would help my 87 year Mum to drink more! Really think I need this, just had CT scan on my kidneys, I have a feeling that the results will come back saying I don’t drink enough! Thank you. I know I don’t drink as much water as is recommended; this could really help! I do need to drink more water, I recently experienced heat stroke and it wasn’t a good feeling. Having chemotherapy for Lymphoma, need plenty of water so this would be great. Being a type 2 diabetic I need to keep hydrated So this would really help. The Droplet is a wonderful invention. Thanks to whoever thought of it. It will be of great help to oldies like myself! Does it play a tune? My husband has great difficulty consuming the daily recommended rate so this would help I am sure. Applying on behalf of my mum, am struggling to get her to drink enough, she has dementia. So many things to do that I often forget about keeping hydrated, hopefully this would solve that problem! At 90yrs of age I think this will me keep hydrated. With my ALZ I could do with one of these. Sipping splendid giveaway ! Fantastic ! Great prize for this hot weather. Would be great for my 87 year old friend who has already been in hospital for not drinking enough. My 97 year old mother-in-law would find this really useful. Fingers crossed! Wow this would help me as I only drink water ,or sugar free juice. Think I really need this. Fingers crossed. It would help my brother in law who has dementia and needs reminding to drink. Brilliant idea, mine would be donated to an elderly person who does need this. Wish I had one of these for my late mother. She didn't drink enough. This is a fantastic Idea for some of my Elderly Neighbours. What a great idea. Perfect for my 90 year old Mum who i know doesn't drink enough. Sounds brilliant. would love to try it. I struggle to drink water so this item would be ideal to get me into the habit of keeping hydrated. I know I don't drink enough water. I was always getting into trouble with the nurses when I was in hospital and made to sit with a jug of water and drink till it was gone. My wife is a Parkinsonism sufferer plus she sleeps most of the day. This would be ideal for her. I need this for myself. I used to drink water all the time by getting older I forget. Here's hoping. A great aid for my mum who is trying to cope with losing her sight due to macular disease. This would be a Godsend for my elderly Mum, we are always nagging her to drink more, she wouldn't even listen to her doctor when told she could become dehydrated especially in this recent heatwave. I have to watch my fluid intake as I am on 2 types of water tablet now. This is an ideal way of monitoring my fluid intake, as I can forget at times when I am busy. What a great idea! Especially in the warm weather it would be a boon to many folks. My mother of 90 always forgets to drink water and I have tried many ways but her Demetria is a problem. Maybe this would be the answer. Think this would be amazing to have as my daughter is always telling me to drink more water, so a friendly reminder would be appreciated. This would be perfect for me as I recently had kidney failure and need to drink enough but I keep forgetting to go and get one until I am REALLY dry mouthed and thirsty. My Consultant said this is too late as I am already dehydrated by then. I am supposed to drink as much water as I can for medical reasons so this would be a good prize for me..
What a good invention! I would find it helpful as I am supposed to drink regularly to aid a condition. This would be ideal for my daughter, and am wondering where I could buy one from, as generally not very lucky at winning competitions . Many people need a reminder for this. Good idea! Great idea.Ideal for reminding my mother to keep up her fluid intake. This is a wonderful idea. I often get so engrossed in what I doing and need a reminder to have some water etc. I could have done with one of these before our glorious summer arrived! I have frequent urinary tract infections and have to self catheterise. I really do need to be reminded to drink at least 2 pints of water. Plus my normal tea/coffee, intake -- decafeinated of course. This would be ideal for me. I've been quite poorly and I'm sure thus would help my recovery. Here's to hoping I win. I'm trying to lower my blood pressure and need to drink more fluids. This Droplet Hydration would help so much. Recently suffered from heat stroke, a droplet hydration kit would ensure I drank more water. Good to keep track of my water consumption. Could do with it now with this hot hot weather. This is a fantastic idea. 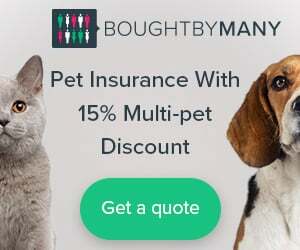 Of great benefit to everyone, especially those with memory problems. What a very clever idea ! Don't they invent some useful stuff nowadays . Sounds like just the thing to remind me to up my water levels, brilliant. This prize would be great. Always busy and forget to drink enough water. This prize would be great. This would be right up my alley as love a glass of water. A great idea in this hot weather. I often go a long time without drinking and this would remind me to keep hydrated. Water is the best thirst quencher. This would be a great prize with the hot weather we have had this year. This Free Draw Prize is so worthwhile as drinking water on a regular basis is absolutely necessary for every person’s health. I suffer with extreme dry mouth all the time and drinking water regularly is so vital for me. Great prize. Good Luck to everyone who enters. This would help me greatly with my water intake. What an invention! Love it. Thank you this seems to be very good and looking forward to winning one. I need to drink more fluids, so this would be a great help. Good luck everyone. I am doing a 110km charity walk over 5 days in September and this would be a such a helpful device to have in my rucksack. Would love one of these, I know I don't drink enough water. I have Multiple Myeloma and its very important to drink plenty of water during the day. I do try but often forget, think it's my chemo brain !! Can I buy one over the counter and if so where ? . James . Many of us forget the importance of hydration and think a couple of teas and a coffee per day is enough! I have entered the draw in the hope of getting one of the kits for my dad. He is 80 and has recently been hospitalised due to severe dehydration, D & V. Drinks lots of tea but is not a fan of water and this would certainly help. Fingers crossed. Looking forward to winning this. I support/cover 10hours of PE a week, one of these would be a great help! My husband has Chronic Kidney Disease, so one of these would be a huge help for him. Would love one of these kits. It would help me keep track of my hydration levels. Thankyou for the chance to win this wonderfully useful prize. Hope I win this. My 88 year old Mum would find this very helpful. I feel that I'm always telling her to drink more water and I hate having to nag her in this way, especially as she's on water tablets so needs to keep hydrated. Fingers crossed! I so would love to give this to my mother as she definately has all the boxes ticked for her needs in this lovely Giveaway. You are certainly looking after us. Yes please, this would be very useful for me at the moment; due to some health issues I need to be reminded to keep hydrated - perfect prize! This looks like the perfect thing to keep me on track!